Find Me A Dentist Near Me – Your smile can be a big part of your self-confidence. But what if you find that some of the teeth are decaying because of an infection? It will put a dent in your self-confidence because your smile will not be the same. You might even consider a new set of teeth or get dental implants but that is not something you should decide on your own. Oral health is essential and when you experience any pain or discomfort, you need to get in touch with a reliable dentist as soon as possible. There are numerous dental clinics in New York but very few are able to provide as many dental services as Dr. Peter Castellana. Anyone who is looking to “find me a dentist near me” or are in urgent need for a reliable dental treatment, we would be more than happy to help. Finding a dental clinic that will listen to your dental case history will take time. Our efficient dentists make sure that they follow the records of your previous dental problems so that you get the right diagnosis and treatment. Our dedication has helped patients get their smile back and trust us whenever they face any problem with their oral health. Since our office is right at the heart of New York, you can make an appointment over the phone and come to our clinic and get your teeth checked quickly. Our focus is to ensure that your teeth are safe for years without any infection. In addition to adults, we also specialize in treating the teeth of kids. Kids tend to have teeth infection early on and we suggest that you bring them to us so that we can check and prevent the spread of the infection to other parts of the mouth. Every dentist is certified. So, you can trust us to do the best job on your teeth. Dr. Peter Castellana provides a range of dental treatments to the patients. Starting from everyday dental care to dental implants to teeth whitening, you can rely on us for the best treatment according to your oral health condition. 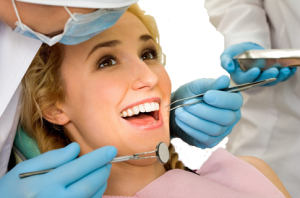 The dentist who will be looking after you will check the condition of the teeth and suggest the ideal treatment. We understand that some of the procedures are painful, but we take every precaution so that you don’t feel the pain. One of the reasons why our clinic is the leading dental clinic in New York is that we are the most experienced in the industry. We believe in going the extra mile to make sure that you retain your teeth and get your lost smile and confidence back. Our passion for becoming the best dental clinic and the dedication of the entire team has helped to reach our destination quickly. Once you consult with Dr. Peter Castellana, you will not want to “find me a dentist near me” again. Our approach to fixing your dental problem is unique because we focus on your oral health first before thinking of the fees. We will become your one-stop destination for all your oral care needs. From braces and implants to preventive care, you can get in touch with us for anything that is related to oral health. Our motto is to minimize the oral health problems through our treatment so that the problem does not arise again. It is easy to search the internet when you have to “find me a dentist near me” but Dr. Peter Castellana will be the clinic where your oral health problems end once and for all. New York has had numerous dental clinics over the years, and you might wonder why we are different than the rest. Well, we understand dentistry like no one else. Our in-depth knowledge of oral health makes us the favorites when it comes to treating teeth problems. We can treat any gum problems you may have, too. And most importantly, we don’t charge a fortune for the services that we provide. So, call us at (098) 765-4321, and we will discuss your oral health issues once you have an appointment. We can assure you that your problem will go away once Dr. Peter Castellana sees you.